You can’t surf all day long (as much as you'd like to)–at some point, a girl’s gotta eat. 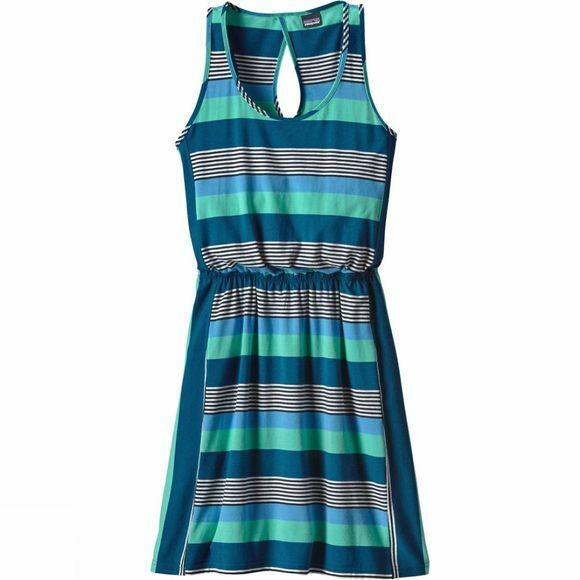 The Women's West Ashley Dress works well worn alone or as a swimsuit cover-up during fish taco runs. Its made with soft and stretchy organic cotton/Tencel lyocell/spandex stretch jersey fabric that won’t bag out. It has simple tank-dress styling with an encased elastic waistband for flattering shape. A keyhole-shaped back opening provides cool relief and style detail, with vertically sewn fabric cutouts at the sides lending shape and contour to the body.